KAT VR or Hangzhou Virtual Technology Co. Ltd.’s VR compatible omnidirectional treadmills (ODT) have announced on Reddit that they will be starting another Kickstarter page to begin raising funds for their newest endeavor, the KAT Walk mini. In a cinched down model of the original KAT Walk VR, the Mini looks like it’ll take up less space and be more consumer friendly as a realistic and immersive locomotion solution. To see more about what the KAT Walk mini prototype looks like check out the video below. Players have the freedom of movement to run, walk, turn, squat or lunge with the slick ODT plate. Players clip into the waist and leg safety harness. Foot sensors are still required for better overall tracking. Their product protects you from running into walls, objects, and people with their boundary and harness design. Both will still take up some space in your home, gym, or business. Active Steam VR games compatible with KAT Walk: Fruit Ninja VR, QuiVr, Sairento VR, and Space Pirate Trainer. The new model is a functional and practical space saver that’s been scaled down in size and weight (85 kilograms/187 pounds is the prototype weight) from Original KAT Walk models (191 kilograms/421 pounds). The KAT Walk mini will come with a backplate as well as a waist and leg safety harness, while earlier models relied on harnesses and a directional arm for balance and security. Older models used foot sensors with the ODT and are now going to use lasers for tracking instead. Active game titles expected to be compatible with KAT Walk mini: Skyrim VR, PayDay 2 VR, and Fallout 4 VR. Arcades, gyms, home use for consumers, and businesses that see VR’s value for health, fitness, and entertainment. Active VR users or people who want to play games, run and walk in VR to get cardiovascular exercise or just get a more immersive experience overall will want to keep their eye on the KAT Walk mini Kickstarter page when it gets created. Walking and running in VR will not only skyrocket your step score on your trusty Fitbit, exercise even in small bursts can boost your brain, enhance coordination with consistent use, and will shed those love handles. Run forward or backward, squat, lunge, and turn around in 360-degrees; the only thing you can’t do in KAT VR omnidirectional treadmills is jumping. 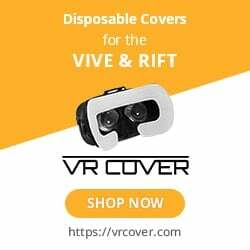 KAT VR has just announced on social media and Reddit that they will be doing a prize giveaway. Max_KATVR shared what fans of the ODT’s can expect if they enter the giveaway, “1 first tier winner will be randomly selected for a completed KAT WALK mini. 5 second tier winners for the Oculus Go VR headset. 10 third tier winners for KAT Rifle-stock. And 100 game codes for a 100 winners in the fourth tier. The giveaway ends on Monday, April 16th” Follow this link to enter.